A rant we hate pressure washers and LOVE sea sponges 1 Members Like This Post! Here's a rant I HATE pressure washers and LOVE genuine sea sponges ! .................. I think most detailers use a pressure washer as they are in a hurry and are lazy ! LOL We have a very LOW powered one and use it sparingly only to do the initial grime wash off . 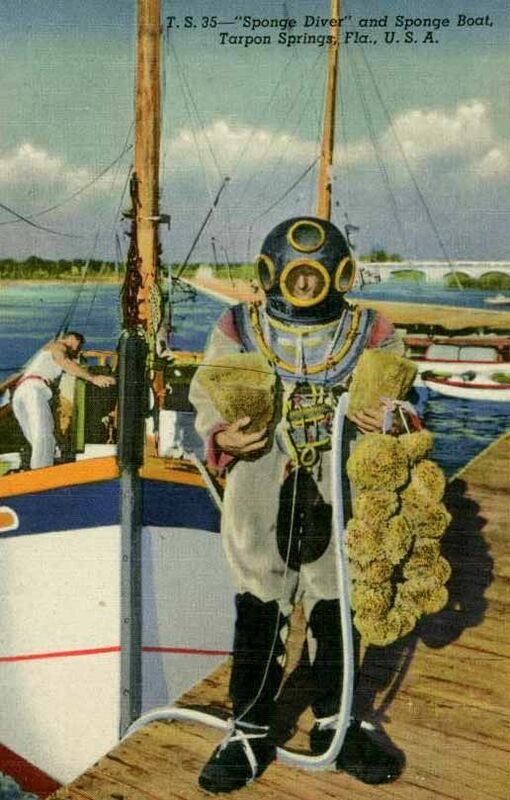 We use A genuine sea sponge brought up from the depths of the ocean, sustainably harvested, by Greek hard hat divers in Tarpon Springs Florida! for nearly 100 years ! The SEA sponge will NOT scratch, It is better than any microfiber mitt and this is verified by the scientists, engineers of consumer reports! By the way, if you are in Florida as a tourist, it is a great way to spend a bit of time. For only $12 the divers will take you out on their boat and you can watch them work ! ( Well,a lot more interesting than watching paint dry ! LOL ) Reprinted w/ permission. Thx Jack ! ->Posting last edited on Wed, 20 Mar 2019 15:49:26.